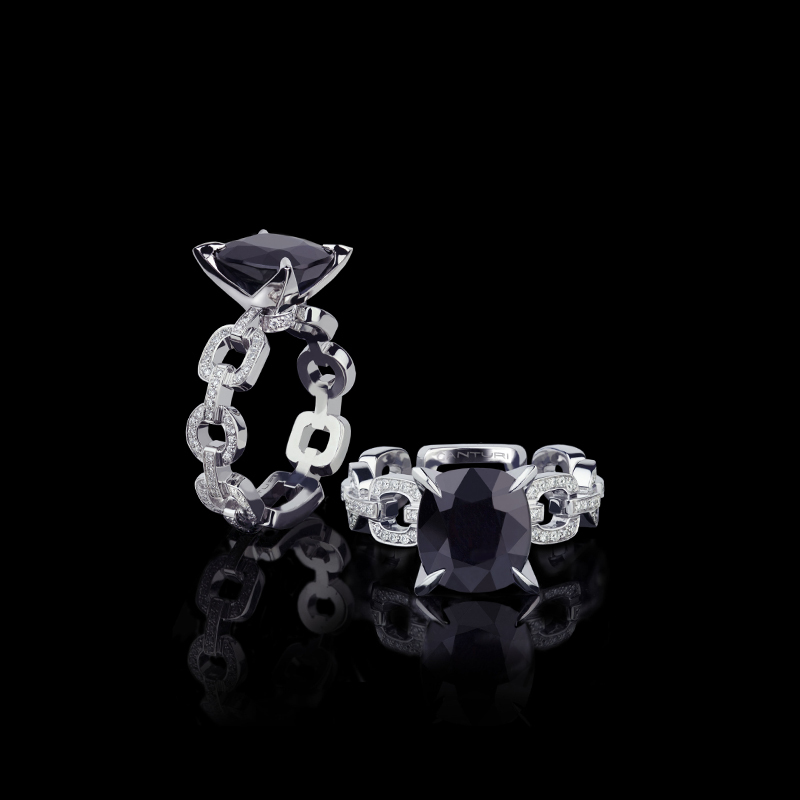 Canturi Link diamond ring with cushion cut Australian black sapphire in 18ct white gold. Also available in a variety of gemstone shapes and sizes. Canturi Cubism Pavé Vintage inspired diamond drop earrings featuring Cabochon cut Australian black sapphires and rose cut diamonds in 18ct white gold.